Arizona offices shouldn’t have to wait until June 20th to bring man’s best friend to work, as an Arizona office space is the perfect place to participate in take your dog to work day. With more companies participating in this fun day, it has shown to have many positive benefits for the employee and employer. We all know the hardest part of leaving for work in the morning is seeing the sadness on your dog’s face as they watch you pull out of the driveway. Allowing dogs in the office has been known to promote productivity, increase employee morale, and improve working relationships among coworkers. Looking for a Phoenix office space for rent? Is it time to expand your business and move into a new space? While this transition can be a very busy time, here are a few tips to make the move to your office space rental Phoenix easier on you and your business. 1. Find a location that is right for your business and your budget. The first thing you should consider as a new renter is the location for your new building. Does your business have clients that will visit often? If so you should consider the logistics of parking and easy access. For folks who spend hours commuting to and from work every day to their commercial lease Arizona office, the opportunity to work from home might sound like a dream come true. And some of the country’s top companies are starting to offer more and more telecommuting jobs (Dell, American Express, Aetna, etc.) – others (Yahoo!, for example) are leaning away from the practice. Is telecommuting the future of business, or is there still hope for the traditional office environment? 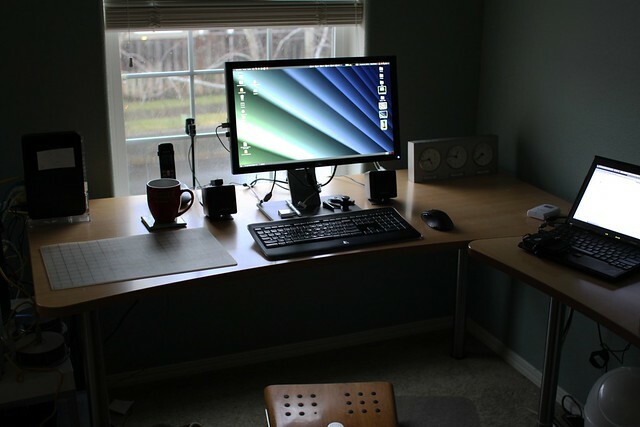 Flexibility is the root appeal of telecommuting. Technological advances have made it easy for employees to communicate with their teammates remotely from anywhere in the world, so if your commercial office building in Phoenix finds an ideal job candidate from Puerto Rico, telecommuting provides you the flexibility to hire that employee. With telecommuting, proximity might no longer be a road block in the hiring process. On the other side of the coin, employees now have the flexibility to balance their personal and professional schedules with more freedom. This is especially appealing to families with two working parents. 1. Reduction in travel costs for employees commuting to and from the office and job sites. 2. Savings on office supplies and equipment (employees use their own supplies at home, or use cloud-based document sharing). 3. Savings on office space and parking. 4. Work-life balance allows companies to retain talented employees who may have inflexible schedules. 5. There is no relocation cost for settling new employees. 1. Employees save time, money and stress that is exerted with commuting to and from the office. 2. There are more career opportunities because they are not tied to one location. 4. They have complete flexibility to balance a busy schedule. 5. There is increased productivity due to less distractions and time wasted on commuting.